Our Asian food is passionately engineered for the contemporary setting, meaning there’s a little something for everyone. 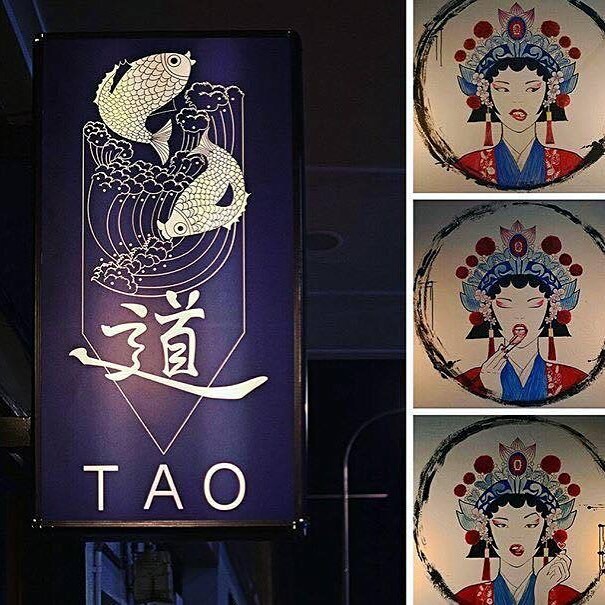 Authentic yet modern, simple yet elegant - Tao is where you need to be. The name TAO, is derived from the Chinese philosophy that nurtures the understanding of balance and harmony. We believe in creating a simple, elegant experience for you to enjoy all we have to offer. TAO is a contemporary fusion restaurant that is proud to serve you seasonal and fresh food that you will love. We are open for brunch, lunch and dinner. Affordable yet classy, this is the perfect little haven for you to relax and enjoy an exquisite meal. We aim to deliver an experience that exceeds your expectations with outstanding service, a gorgeous setting that is perfectly orchestrated for you to unwind. Great Service Great Food Great Experience! My parents and I enjoyed the dinner and had a good time. Loved it! Interesting food, great momos, the duck was not our favorite but still good, everything else excellent. Planning to go again. Had an amazing dinner tonight loved the place couldn't fault the food everything we ordered was awesome especially loved the seafood dumplings and spring rolls. Definitely back to try the other foods! Amazing food and really good sized portions. Small but varied menu, and nicely presented. The best part by far was the staff member who served us. He was lovely and friendly, really attentive, and brilliantly helpful with one of our meals, which we accidentally ordered for my wife without realising it contained meat. He had it changed immediately and was very understanding. Would definitely go back and recommend anyone to go there. We thoroughly enjoyed our dining experience at Tao. The food was delicious and the staff were friendly and attentive. Awesome atmosphere and decor. The staff were lovely and friendly. The food was excellent and authentic, and love the balance and taste. Try the Peking duck and Xiao Long Bao.Will definitely dine again.